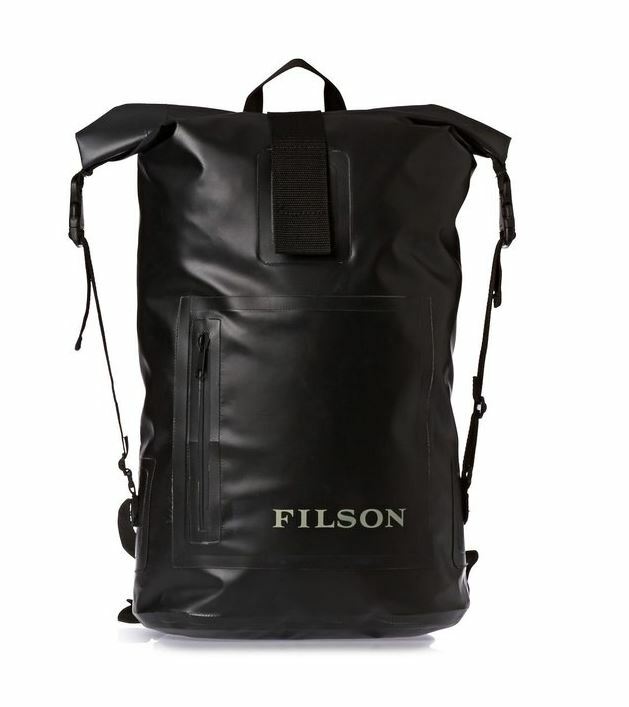 The Filson Dry Day Backpack is perfect for all journeys. It is designed to be remarkably light and comfortable to wear anywhere, even when packed to capacity. In order to keep your belongings protected in the wilderness, it is made with a vinyl-coated polyester covering with attached seams, and a roll top closure with hook-and-loop. This impermeable backpack makes sure that your belongings will not be exposed to the elements. Therefore, rest assured that water, wind, or sand will not be able to penetrate the backpack. It is a very elegant looking bag, and you will feel comfortable wearing it the moment you put it on. Additionally, this waterproof bag can be taken on boat trips to the beach, lakes, or on a kayak for a trip down the rapids. It is also built for hiking up a mountain in a rainstorm. The uses of this backpack are made for any sorts of trips out in nature for whenever you want to disconnect from the real world.